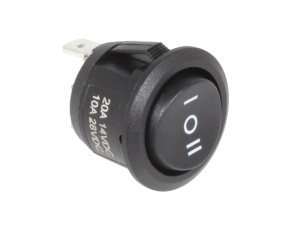 ON/OFF/ON round mini rocker switch with printed switch face, rated 20A@12V. Press fitted into a panel and retained via sprung 'arms'. 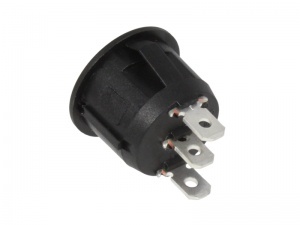 Panel hole size: 20mm dia.